For the short term, all workshops will appear in the regular concert schedule section! For some great learning opportunities, join the Skunk Misery Ramblers. It’s FREE and FUN and we play all over the area, learning great tunes. HOW DOES A CONCERT SERIES HAVE A MISSION? 1: you pay money for the concert. 2: Most of the money goes to the artists (that’s how we get the good ones). 3: A small amount goes to expenses, like ice cream, dinner for the band, sometimes advertising. 4: The remainder, and it’s usually only about a couple hundred dollars or so, goes to a small local non-profit that DIRECTLY benefits the community. All the people working or organizing or running the show? 100% volunteer. Sponsors help in several ways: workshops (most important) and some advertising if I’m getting nervous about attendance. Advertising locally is also a nice thing to do for the local papers that usually give us great free coverage. Gotta pay them back sometimes, there’s no way we can thank them enough for their help. For us, it’s simple. As putting on concerts is a lot of work, and there are so many venues out there now that getting publicity is darn near impossible, it can’t be about the money. As you can see from above, we give a huge chunk to the artists so they can try to make a living. Our splits to the musicians are legendary in the music community for their generosity. You’ll see that we don’t do “name acts” or rock, classic old pop stars, or hot artists or anything like that. We feature “alternative” violin and cello music. It’s a tough sell, and not a high-paying profession! Most all are conservatory trained, be it Julliard, Jacobs, Curtis, New England or Berklee, they’re all hot shots. 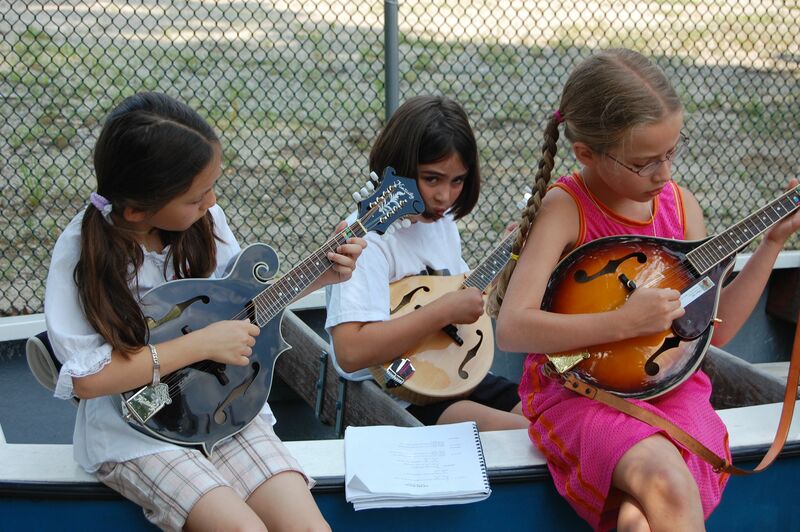 They all started out learning classical, and switched to music they love. It can be mutant bluegrass, or twisted old-time, or other-worldly Celtic. But, it’s all played by some of the best musicians in the world. They win Grammy’s. World Championships. All that. They also give workshops. That are free to the public. How many Grammy winners have you gotten cello tips from? Too many kids are playing in orchestras just to build the college resume. We hate that. As soon as they’re in college, bang, they quit, never to play again. They should be playing for love. It should be stress-free. It should be fun. In the Skunk Misery Ramblers fiddle club, we have a lot of adults who quit the violin after high school, and are looking to pick it back up again and play something fun. Music should be a lot more that a checked-off box on a college application. And we want the kids to see how music is all about building community. How it brings joy. So why “alternative” strings? Simple, really. We’re down on the “genre-snobs” that kill musical enjoyment in either a listening or playing capacity. “If a tune isn’t played this way, you’re wrong” just won’t work with us. Traditional Irish sessions are notorious this way: everyone has to be playing the same note at the same time. Period. Old-timers can get all “If Tommy Jarrell didn’t do it, it’s not old time.” And the Bluegrass Police? Don’t even start. With alternative, there’s a premium placed on creativity. Sure, if you play really well you can do more things, but creativity doesn’t need virtuosity. Play what you want, how you want. The key is, you’d better work on how to make it fun, entertaining , and toe-tapping. It’s challenging and inspiring, and few people have discovered it yet, but it needs to be heard more. It’s new-wave traditional, or cutting-edge chamber. We want our audience discovering new music they’ve never heard before. Attendance may suffer as a result of all the little-known geniuses that play here, but inspiration is overflowing. Skills are off the charts. Pure joy? In orbit, way beyond the solar system. That’s why, no matter who is playing, Grammy winner or not, all kids tickets, high school age and younger, are always $5.00. They can always sit on the floor in front. There’s always ice cream and time to talk to the musicians after the show. Our mission is unlike just about any other concert series around. We’re educationally-based. We actually like to try to promote and help new, emerging artists. Just about everyone else shuns them, as they can’t guarantee an audience for a promoter. That’s why you see so many tribute bands or really old pop stars touring. They’re easy to promote. Bars and music halls can make money off them. They can’t off of someone like Harpeth Rising, a trio of three insanely talented graduates of Indiana University’s Jacobs Conservatory. But we were proud to put them up, and make the exact same profit as we would John Jorgenson. Zero. Most all of it goes to the artists, as most of them are flat broke after a tour. The rest goes to the workshops, ice cream, or food for the artists. It’s 100% volunteer. Lauren Rioux teaching the chop. Fantastic workshop with Brittany Haas and Lauren Rioux. The workshops are an absolutely perfect example of how music works. They complete a perfect circle which only music affords. Artists, some Grammy-winners, teach students and adults alike what makes their music special. A good bit of technical stuff, a little philosophy or history perhaps, and a whole lot of attitude. Then, the students and adults go off and either become performers themselves, or at least have enough skills to have a good time using their knowledge as a social “in” as they go off to college and beyond. At the very least, they can have some great memories knowing they met and learned from some really inspiring people. 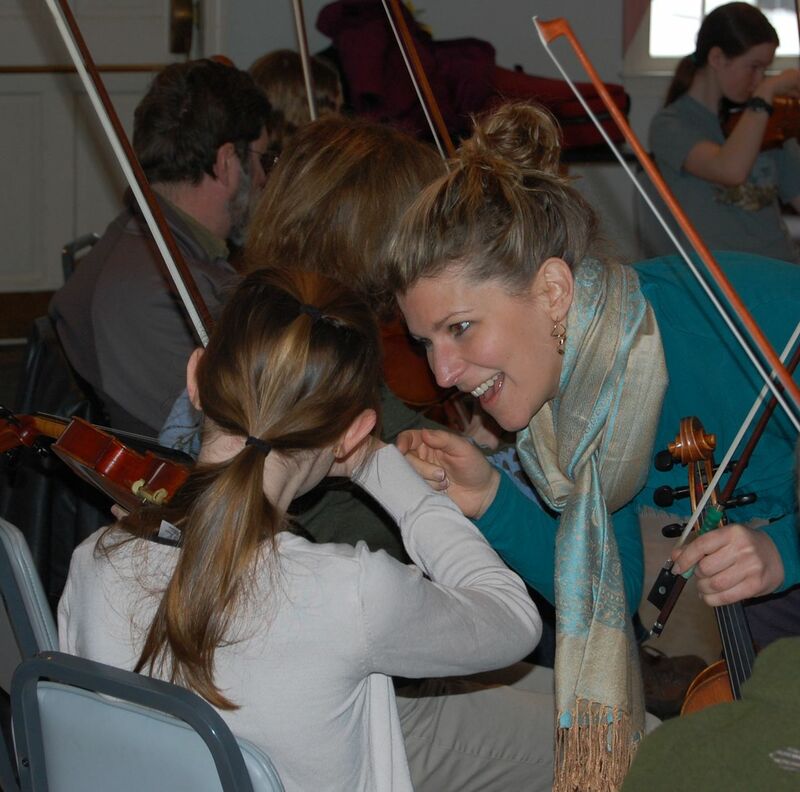 The program is run by people who play music themselves, who have had kids in youth orchestras, have done the competitive audition thing with their kids, dragged the family to fiddle competitions, and even had their own kids grow up to play in string bands long after college. If you’ve taken a couple of years of our FREE workshops, you’ll probably have had a more comprehensive exposure than any college alternative-strings program. Which might be why so many artists want to get on the workshop roster. It puts them in pretty elite company!! Pat workshop leaders have included folks like Ben Sollee, Christian Howes, Dana Leong, Brittany Haas, Paul Kowert, Hanneke Cassel, Liz and Yvonne Kane, Jay Ungar and Molly Mason, Ruth Ungar, Rushad Eggleston, Jordana Greenberg and Harpeth Rising, etc., etc., etc.